A perfect bit of flash to add to my costume! It's small enough to fit nicely into a coat pocket where it can casually be pulled out for a little look around. Granted, 2x is not a lot of magnification but, for under $20, it's a great little piece. Seems well made, too. These are amazing boots! I've always wanted knee high boots, and these are the real deal. They'll work well with both my victorian and Renaissance costumes. They're a little problematic for me though on several points: 1) I have really high arches, so getting into them was a bit of work and getting out of them required the assistance of my lovely wife. 2) I plan to wear my pants inside the boots and have really muscular calves so, again, there's some effort to getting everything in place. 3) The soles are smooth, hard leather which makes them very slick. Until I've used them enough to rough up the sole, I'll have to watch my step. These are really well made, they look fantastic and, yes, the "new leather" smell is great. They're sitting in the corner of my newly refurbished walk-in closet, making the whole place smell wonderful. I can hardly wait the couple of weeks 'til the first event where I can strut about in them. Be sure to ask about half sizes, if that is what you need. The 9.5 fits me perfectly, and they even accommodate my wide feet. Gave a great extra touch to my 1920's outfit for prom. It looks great, feels good in the hand and has the push-to-open function that makes a pocket watch so damn fancy. But, alas, it is still just a prop. It quickly lost the time (within 30 minutes), and the window seems to be made of some thick plastic. Great for show. Not a real pocket watch. Perfect for what I needed it for, but know that it isn't functional. I had no problems with the vest. I gave the site my proper measurements and then crossed my fingers. In the end, it gave me a great vest. I have only worn it once, but it survived both prom and the crazy after prom completely unscathed, so I imagine it has to be SOMEWHAT durable. These were not my first choice for pants. Unfortunately, the Emporium was out of my first choice. After some consultation with their excellent Customer Services staff, we figured that these would be the next best choice to go with the coat, hat, vest, etc. that I already have. And they are! The color is a good compliment to the other pieces, as we determined in our email exchanges. The material is lighter weight than I was expecting, although that is not obvious when simply looking at them. However, that actually goes in the plus column, as far as I am concerned, since I will be wearing them in summer with a hat and coat. Should help keep my temperature down a bit. They seem to be of sturdy construction and the claim is that they are machine washable. I may have them dry cleaned with my coat anyway, just to be sure they stay as nice as they are out of the box. I also suggest going two sizes larger in the waist. Add a nice pair of suspenders form Historical Emporium and, between those and the adjustable back strap, you'll be able to make them fit just right. I'm looking forward to many enjoyable uses of these trousers. Beautiful victorian vest my fiance will use for his wedding attire! Fast and secure service, we will be ordering from you in the future! Thank you. Outstanding quality! I have a large head (7 1/2)--no snide remarks, please!--and took a chance in ordering your largest available size. Eureka! It fits! I am now complete! And the workmanship was top-notch, right down to the jaunty feather. All for a reasonable price to boot. My airship awaits! Gentlemen, I am impressed! The quality, fit and appearance of this outstanding vest make it a real bargain. It looks so good, I would not hesitate to wear it with contemporary suiting as well as my victorian era garb. However, be forewarned: If you're also wearing suspenders, the vest's eight buttons will slow you down considerably in the gent's room! I love this bracelet. It looks great and it was very affordable. I get compliments all the time on it and it was delivered quickly. I purchased the necklace too. I am verry happy with my blouse. Will order for you again. We ordered the satin tonal pinstripe ascot for our wedding in July. It arrived even quicker than we expected and was absolutely perfect for our vintage themed ceremony! Thank you for making our special day even better. Your sizing seem to be way off on these trousers, the first pair I ordered were my regular blue jean size 33 and did not fit at all. The exchange were 38 and fit like they were made for me. The finish on all the clothing I have ordered from you is rough, lots of loose strings and frayed button holes. The Duncan vest Item #002507 faded bad under the arms, left red stains all over my white shirt. This item also seems to be cut small, I ordered a large and it is a snug fit. Most of the large clothing items I buy else where fit loose. This is a high-quality hat. We ordered this for our son to wear to prom. It looked great! I was especially happy that the hat came in larger sizes, since our family has large heads (-: Thank you! Our son wanted to have a walking stick/cane as an accessory with the tux he was wearing to prom. This fit the bill perfectly! Very dapper -- and a legit cane as well! Thank you! This is a reasonably priced pocket watch with a very cool design/look. Our son wore it as an accessory with his prom tux. It was an awesome added touch. We have some adorable photos of his date checking the time on the watch. Very nice! I wore this vest under my black coat to the prom and looked fine. Most people had rented the flat, bland polyester trappings the unimaginative use for such occasions. This vest with a black bowtie and the Sinclair shirt looked substantial and sincere, in a vast sea of superficial rentals. Comb your hair back, pop the collar and tie on a cravat: instant James K. Polk. Life is too brutal and short for bland vests. This vest looks best with a band collar and rolled-up sleeves. The little notch in front leaves just enough space for the top button or a bit of material. Bring extra business cards because you'll be passing them out to your admirers all day. The item description and photo were exactly what I got. Its perfect, it has a good magnification, and nice chain to hang around your neck when you need to use both hands. Just what I wanted, thanks! I would recommend these gloves. The price isn't bad at all, and they're very comfortable. I previously bought white gloves from this site, and I decided to buy these for situations where white gloves may get dirty. I love the products from this website, and will very likely continue to buy from it! I was very pleased with the quality of the vest, as well as the timeliness of the shipment. Thank you! Was very pleased with the quality and appearance of this tie. Thanks again for a very nice product. The gun belt is excellant. The holster lets the revolver swing out away from my side more than I prefer, bet I found an easy fix to sove that problem. All in all, good quality at a decent price. I'd buy another one if I needed one. Blouse is gorgeous....but not cut for a short woman as sleeves are very long. Had to have alterations to sleeves in order to keep the awesome cuffs. Yep, I'd buy it again even knowing it would have to be altered. I was thrilled with the service I received. I even had to exchange two vests and it was easy and fast. Thank you for the great selection and pricing. Everything I ordered arrived safe and exactly as showing and described. I was very Very happy with it all and have told several of my friends about the site. Thank you for your quick and prompt service! service was prompt and the pants I ordered were perfect for my re enacting. Very good customer service dept. I couldn't be more pleased with your merchandise, your pricing, and your order fulfillment. I am a very satisfied customer! I sent an E-Mail prior to placing an order asking about a product. It was never answered. The item I ordered (a 1910's style bathing suit) was made of polyester which feels cheap and clings to the body when wet. The checkout process wasn't as streamlined as other online retailers. ive discussed your site with friends, we are likely to do a lot of christmas shopping on it. The quality and selection were amazing. You have not helped. I have a creative child who often looks at your website & begs for many of the items you sell. I hate being the bad guy. I'm very satisfied with the Emporium's service. 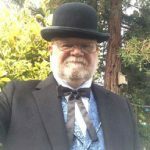 At the last minute I decided to throw together a steampunk costume for a festival and Historical Emporium came through to get me the clothes I needed quick as could be. Thanks to the fine folks at the Emporium I looked and felt great in my new garb.